Roughly chop berries in a food processor, then transfer to a bowl with vinegar. Cover and chill for at least 4 hours or overnight. Strain through a fine sieve over a bowl, stirring to allow the liquid to drip through until you have about 1 cup (250ml) liquid. Simmer liquid and sugar in a pan over medium heat for 5 minutes until reduced slightly. Cool syrup in fridge. 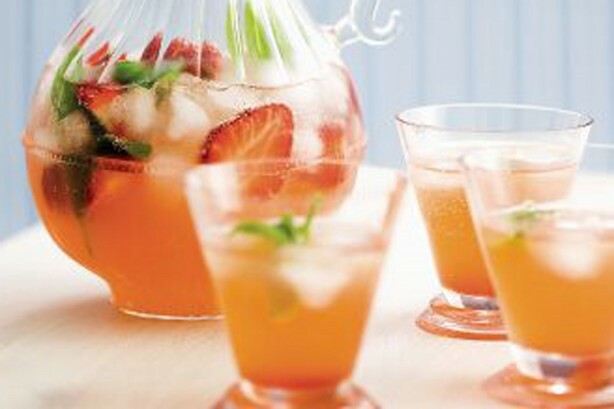 To serve, pour syrup into a tall jug, add vodka, ice and soda, then garnish with mint and berries.